The previous guidelines, which were reached during Obama's first term, call for automakers to steadily reach a fleet average of 54.5 miles per gallon by 2025 — though with credits and other modifications, the actual figure is expected to wind up in the low to mid-40 mpg range. Thursday's announcement means the new standard would be frozen at 2020 levels, around 37 mpg. House Minority Leader Nancy Pelosi, D-Calif., called the Trump administration's actions a "dangerous assault on clean air and public health in California and across the nation." "President Trump's illegal and unjust attack on the vital clean air protections set by California and the 12 states that join it will choke our communities with smog," Pelosi said in a statement, promising that her state would "continue to work with automakers to overcome the Trump obstruction to build cleaner, more affordable and safe vehicles for our communities." 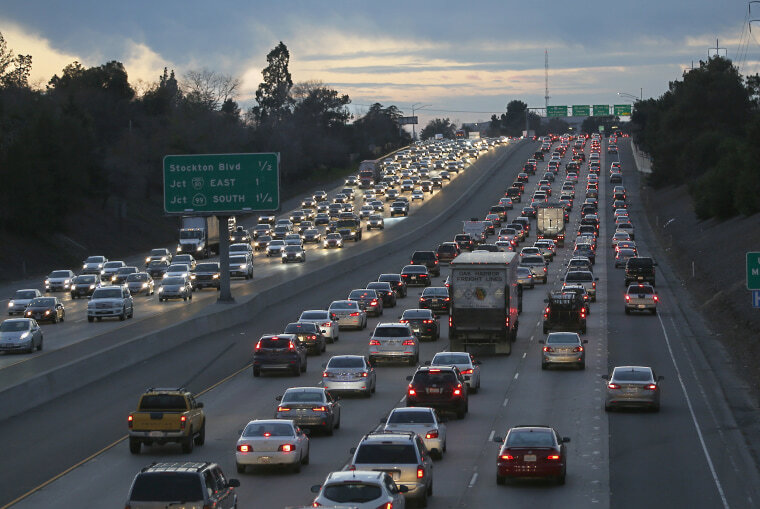 “From the automakers' perspective, they’ll be happy not to deal with CARB,” (the California Air Resources Board that sets emissions targets), said Dave Sargent, the head of automotive research for J.D. Power and Associates. “What they want more than anything is one set of rules. Multiple sets of rules get expensive” to meet, as that can mean designing one model for states following the California rules and another model for the rest of the country.